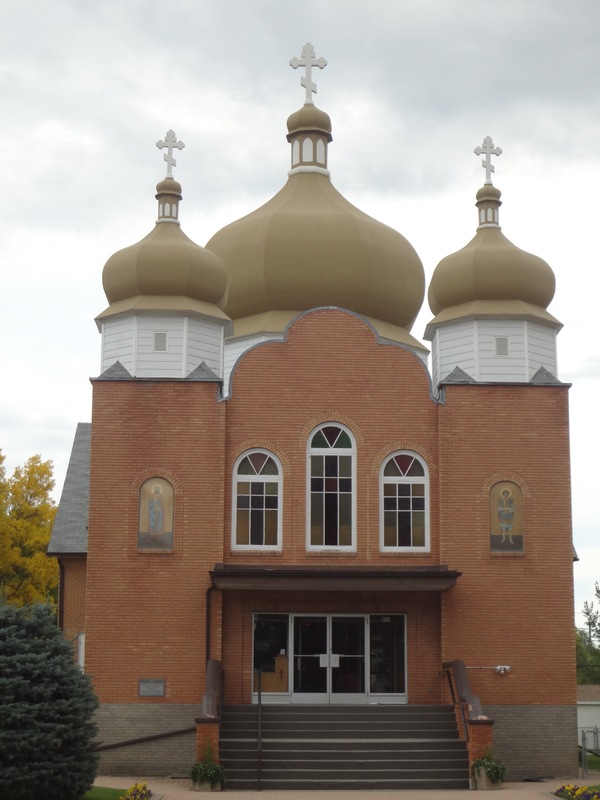 One of the delights of traveling the ecoregion known as the Parklands of Saskatchewan and Manitoba, Canada (northeast of Regina, SK and northwest of Winnipeg, MB) is discovering the Ukrainian churches with decorative domes. 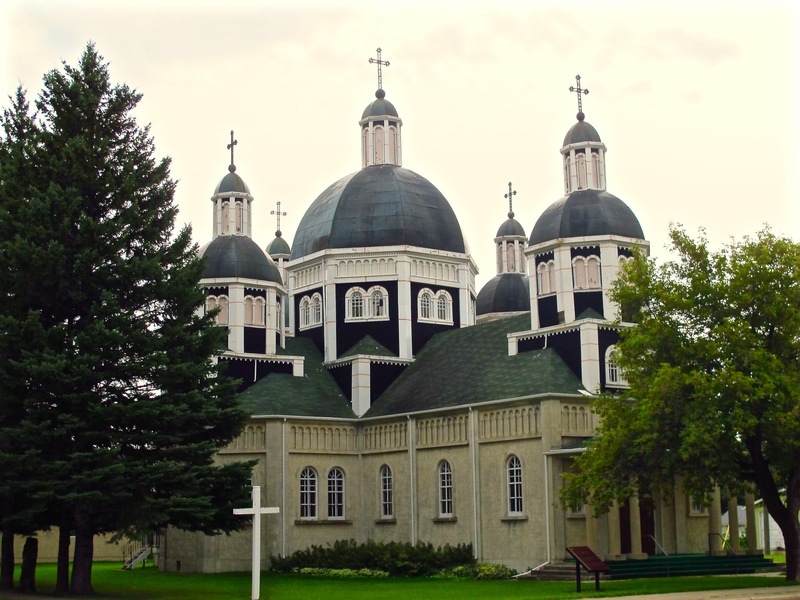 Built and treasured by the large numbers of immigrants from the Ukraine that settled in the agricultural area some of the churches house Catholic congregations while others Orthodox worshipers. Even in small towns we often find both religions represented. Indeed in some towns we find three separate buildings, each with its own characteristics. We haven’t been able to visit any of the interiors but know that many are even more elaborate than the exteriors. 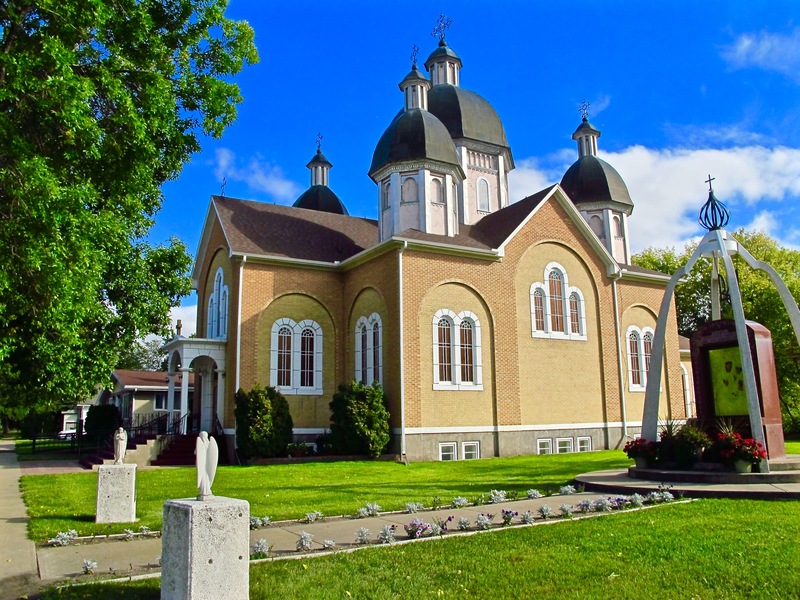 I found a picture of the colorful and ornate ceiling and chandelier in the Historic Ukrainian Catholic Church of the Resurrection (photo to the right) in Dauphin, Manitoba. Driving back roads we’ve found country churches that remind us of ones we knew in our youth, located in the American Midwest. 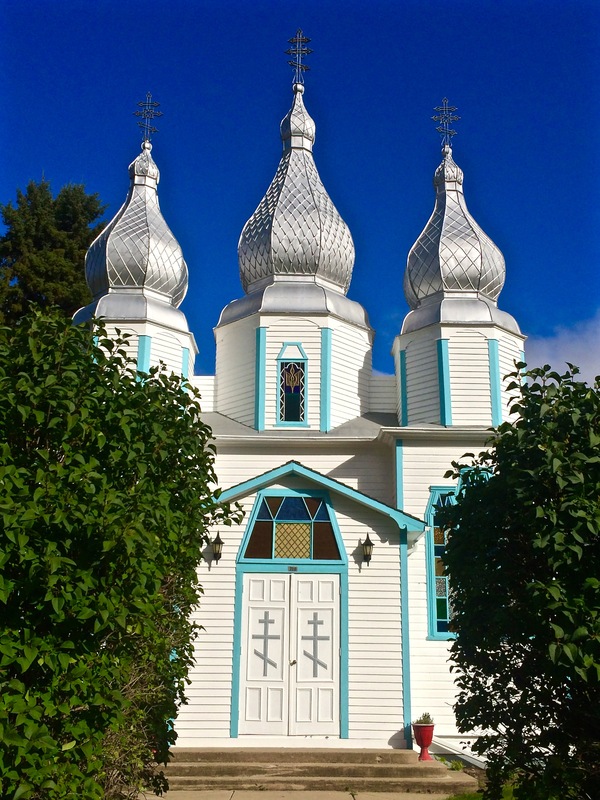 The only difference being an absence of steeples or bell towers; instead we’re seeing numerous versions of onion domes along our drive today. 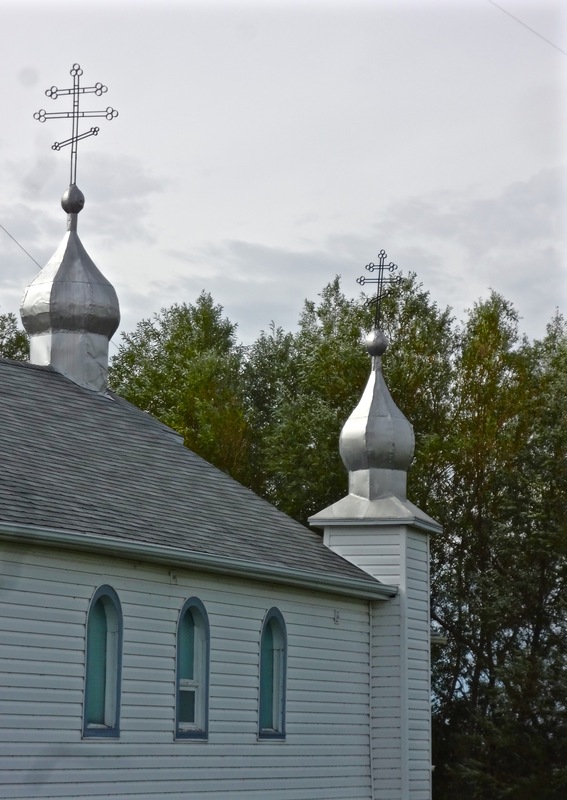 So far, my favorite is a church in Canora, Saskatchewan that is topped with pear-shaped domes instead of the more typical onion domes. Along our travels I’ve found more locations of the picturesque churches, just one reason to plan a future trip to the area.